Our Mission: Bana Tea Company is dedicated to promoting the discovery and pleasures of Pu-erh teas, probably the most fascinating, esoteric and sought-after teas in China. 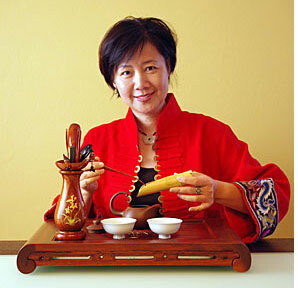 Behind Pu-erh is ancient history that has survived to a living culture today. 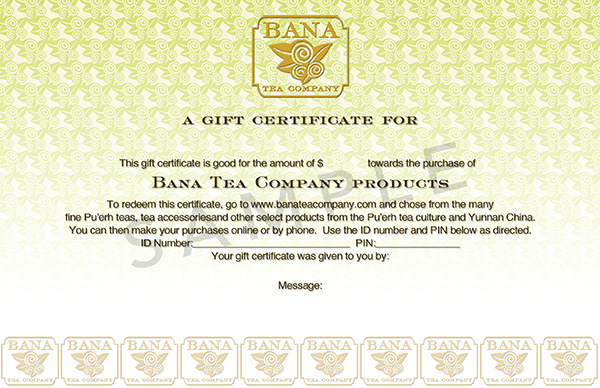 It is Bana Tea Company's commitment to bring to you a selection of the highest quality Pu-erh teas available. At Bana, we are committed to products that are earth-friendly, socially responsible and natural. From the selection of raw materials to the packaging of the tea, Bana Tea Company gives detailed attention to ensuring the products meet our high standards. 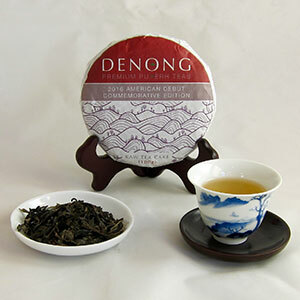 We purchase our tea leaves directly from the tea farmers in the high mountains of the famous tea producing regions. The tea leaves are picked from old-growth tea trees between 100 to 400 years old and are harvested and sun-dried by the ethnic minorities who are indigenous to these mountains. Our tea cakes contain 100% top grade tea leaves. We do not mix higher and lower grades together, a common practice of other tea companies. 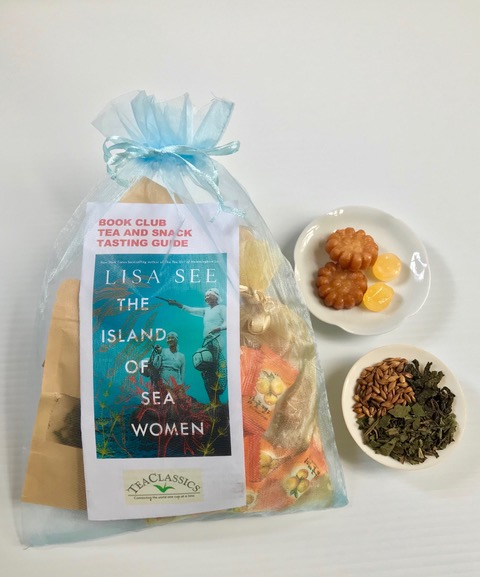 To preserve the ancient traditions of Pu-erh tea, our tea cakes are wrapped in natural cotton papers and packaged in "tungs,” which are comprised of five tea cakes bundled in natural bamboo leaves, a packaging method dating back to over a thousand years ago. To ensure the quality and integrity of our product, the production of our tea cakes is closely supervised and monitored by our tea master and his staff under rigid sanitary conditions. 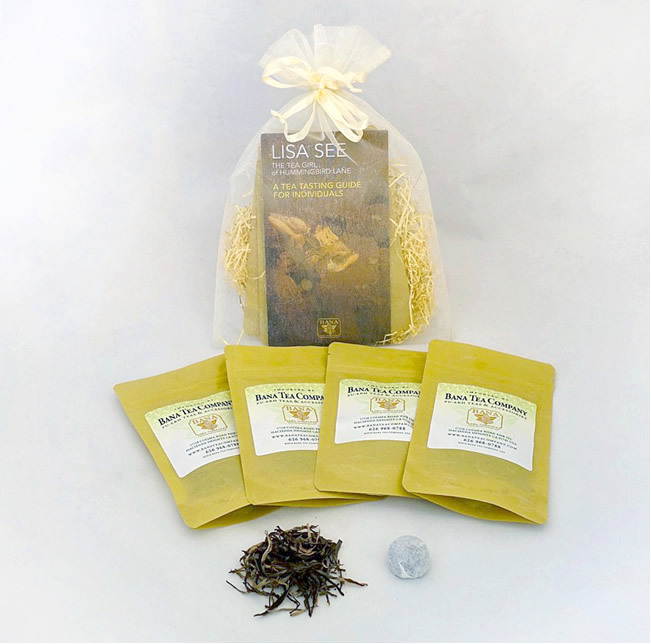 If you are not familiar with Pu-erh tea, we welcome you to the sophisticated and delicious world of Pu-erh. 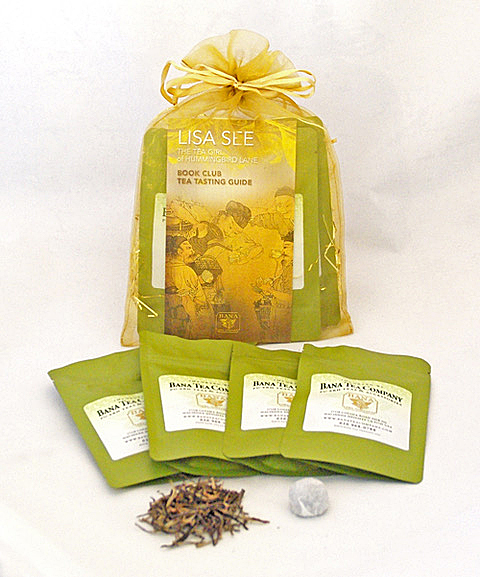 We hope to share with you the wonders of this relaxing, healthful and very special beverage.